Women are always the main thespian for fashion. Sometimes misinterpreted by some, their lean and tight body usually is the measure you can see on the catwalks and prints. When they flaunt a part of their body, it becomes a center of attraction. Oftentimes, fashion trends and styles usually are associated with specific feminine parts and they are marketed in such a way that it accentuates it. One of the most favorite body parts that men usually like in a woman is her legs, especially those that are long and fair. If a woman, endowed with such great legs, strut the streets confidently, men will certainly go ga-ga over it. For a woman’s legs, there are several fashion bits and pieces that can add flare to it such as socks, shorts, and skirts. Some others prefer the more daring and rebelling type, and that is putting a tattoo on it. Leg is one of the most suitable spots for tattoos especially loud prints. It is a location wherein you can definitely flaunt your favorable design along with your greatest asset. 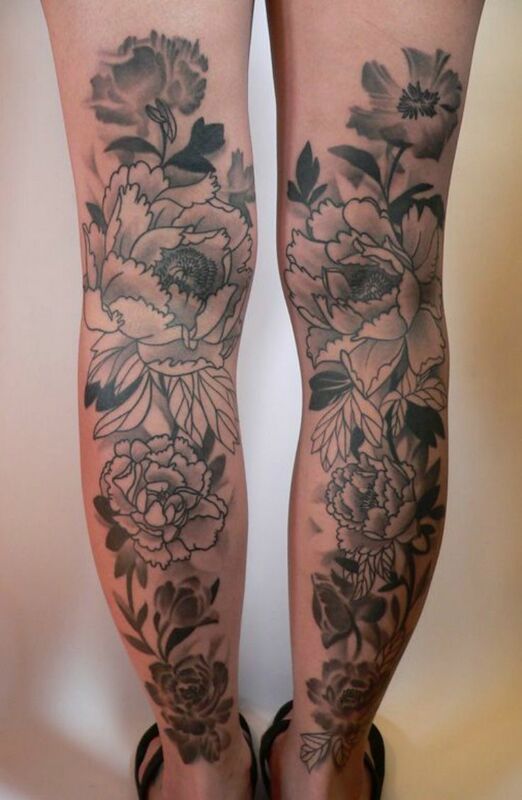 There are various designs that can be used to enhance the outlook that one has in her legs, and to give you samples, here are the 40 Endearing Leg Tattoos For Women.